This cymbal was crafted in Germany from durable MS63 brass alloy, which holds up to the force of your sticks while maintaining excellent musical pitches and tones. On top of that, this trash crash cymbal's realistic price makes it the perfect choice for beginners who are building their first kit. This natural-feeling rubber cymbal pad has the swing you're used to and almost none of the noise of an acoustic cymbal. It has multiple triggering zones for up to three different sounds at the bow, bell, and edge. This item has been made with honour and respect by a shamanic drum maker and shamanic practitioner with over 18 years experience. 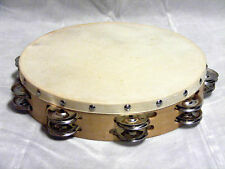 16 " Shamanic Spirit Drum with Beater. 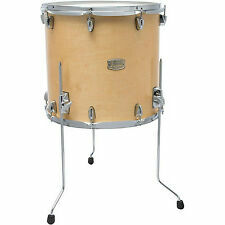 The drum will be supplied with a beater and care advice. Crash/Ride Cymbal. Crash/Ride Cymbal. Ddrum Cow Bell, Zephyr Stick Bag. Free 14" Crash, Ddrum Drum "Mississippi Queen" Cow Bell, ZephyrStick Bag & a pair of Promark TX5BN Drum Sticks! Bright, full, warm. The 14" Planet Z hi-hats give back a crisp report that won't get lost in the mix. No matter what style you play, Planet Z is an easy and affordable way to complete your sound. This set includes a pair of 14" hi-hats, a 16" crash, and a 20" ride. And the audience will have have a spontaneous, reflexive reaction. Made by skilled cymbal makers in small batches for us, they are B20 bronze, cast, hand-made and hand finished. The Reflex Cymbal Line from Unlimited Percussion is not mass-produced. This defines its individual sound which is unique to this cymbal and can never be exactly duplicated. Their harmonic spectrum has lightly dominant mids. Due to the fact that it is produced without a bell, this 16" Flat China Cymbal has a short sustain with a softer attack. SKU: LV468. How are you to actually know what you sound like when you can’t feel or hear it?. As with everything in life, we also have limits, here are a few. Pictures are for reference only. Portland Percussion is a authorized M e inl Cymbals. we have a very knowledgeable, NON COMMISSIONED sales staff. Effortless, clean cut sounds. These cymbals cut with agility. Drum Sticks. Traditional finish with a fully lathed surface. Sheet Music. New Arrivals. Zildjian A20579-11 A Custom Series 5 pc. Cymbal Set 20", 16", 14" pr., FREE 18"
Each casting is cooled and sorted by weight for each cymbal model. These A Custom Box Set cymbals have a rich, full-bodied sound that improves with age. 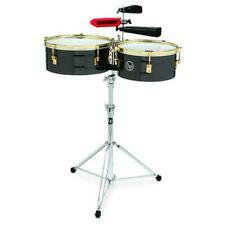 They also have greater projection, clarity, and durability than any other cymbals. Austin Bazaar is an authorized Zildjian dealer. Pre-matched cymbal set-up. SABIAN 16" B8X T Crash Fast, punchy, bright and loud attack make the SABIAN 16" B8X T Crash a cutting model. Precision formed, hammered and lathed for pure, tonally tight sounds, B8X is the bright, cutting sound of pure Bronze … at a low price that makes your first move into this precious metal an easy one. A cymbal of power! SABIAN AA cymbals are all about classic sounds. It's about tradition, about what made history. And it's about making history again. Used Gear is sold as is. As with everything in life, we also have limits, here are a few. The beater is sustainable pine with a tanned Elk hide head. (there is no plastic throughout). 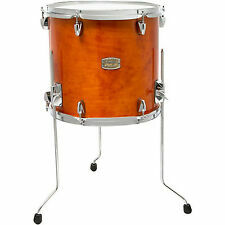 A beautiful drum and the sound is amazing. Brilliant service The drum is amazing everyone loves the art work brilliant. For sale: NEW Paiste Formula 602 16" thin crash 16”. bought new and not used as the band this was intended for never happened. 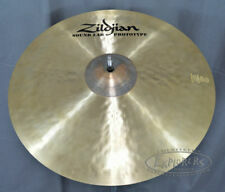 great cymbal, great price for a new condition cymbal! Effortless touch and clean sound. Pitch - High-Mid. Material - Pure Alloy. Styles - Rock, Pop, Fusion, RNB, Reggae, Studio. These cymbals cut with agility. Blanketing their superb stick definition is a sustain that plays out with just the right amount of strength and balanced wash.
Every Byzance cymbal is a piece of art and has its own unique sound characteristics which can never be duplicated.JAZZ cymbals have a regular finish and contain outstanding sound qualities. Cymbal:16" Jazz Extra Thin Crash. Zildjian Z30616 Z3 Series 16" Rock Crash Drum Set Cymbal. SKU: Z30616. Item Number: Z30616. Hard hitting cymbals, as you know them, have just changed. Get a free pair of Zildjian Drumsticks! Our Choice of Size! UFiP Earcreated Cymbals, Tiger Series, 16" Crash, UFPTS16, Brand New ! Dedication to detail is the main concern of every UFIP cymbal maker. Be it the legendary Ice Bells or a pair of Tibetan Bells. No wonder they are so much sought after! Sabian AAX Freq Crash Cymbal - 16"